Dark Doings Among The D.C. Monuments NPR's Linda Wertheimer walks the halls of power — and the local cafes — with crime novelist Mike Lawson, whose Joe DeMarco books serve up murder and mayhem in the nation's capital. In Washington, D.C., the glittering marble of public buildings and monuments can conceal the darkest of deeds. And in the crime novels of Mike Lawson, they do. 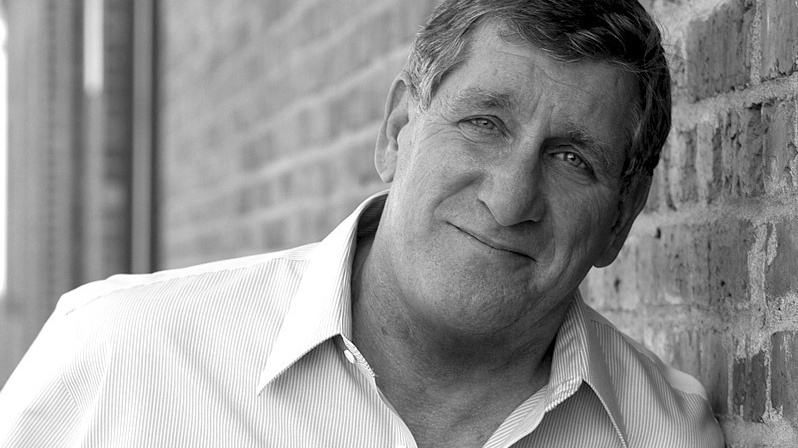 "When I started writing, the very first decision I made was, I wanted the book set in D.C.," says Lawson, who recently published his seventh Washington-based thriller, House Blood. "That was before I had a character, or anything else." And he had a reason. "It's a target-rich environment for a writer," Lawson says. "There's always something going on here — something corrupt or silly or sometimes heroic." 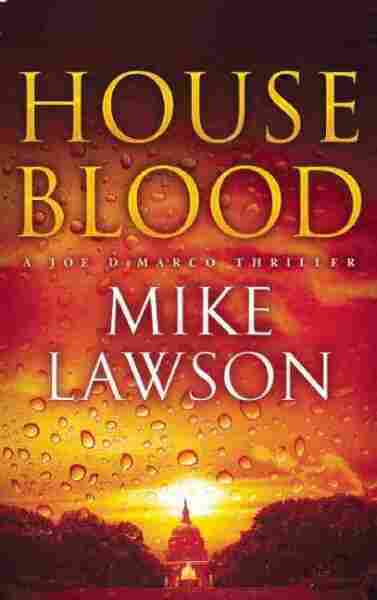 When Lawson got around to casting his thrillers, he created a lead character called Joe DeMarco, who works for the speaker of the House doing ... what needs to be done. And he stayed with his plan of making Washington, D.C., the jumping-off place, seeing the city's familiar sights as good places for bad things to happen. In House Secrets, he picked the entrance to a Senate office building as the setting for an assassination attempt. "The senator was going to walk through those doors right there," he says, walking me past the spot. A teenager with a gun, two shots fired, an unlucky aide — and the senator survives. "The senator in this book is a fairly charismatic, lucky guy," Lawson says. "And once again, he was lucky, even though he's the bad guy." When he's writing, Lawson needs to "see" what's happening; he likes to have a feel for where his characters hang out. Take DeMarco's office: Exploring the Capitol in the pre-Sept. 11 days, when citizens could roam the building more freely, Lawson decided Joe's office should be tucked away in the bowels of the building. Nowadays, of course, we need special passes to get to the spot — tucked away in one of the many basements, roughly beneath the office of the speaker of the House. "I walked into the Capitol, was in the rotunda, and I saw a set of steps with a little velvet rope across it," Lawson recalls. "And I just stepped over the rope, and nobody stopped me or said anything. And then I went down two flights of stairs. ... There was an emergency diesel generator room and printing office, and a janitor's space — and I said, 'Well, this is DeMarco's office.' "
Mike Lawson was a civilian Navy employee for many years, and spent some of that time based in Washington. He returns occasionally to keep his memories fresh and see how the city is changing. This is an off-the-books office, with a fake title on the door — home turf for a well-connected guy with no job description. "He's essentially a fixer," Lawson explains. "He goes and does stuff that the speaker doesn't want on the books. There's some little problem to be taken care of that he doesn't really want tied to the office." DeMarco's assignments are often reality-based: the Valerie Plame case, in which a CIA agent is "outed," figures in House Justice; in House Blood, Big Pharma is doing bad things with drug-testing in the developing world; The Inside Ring raises prophetic concerns about the president's protective detail. Most of the characters who move DeMarco's plots are vaguely familiar, too — although possibly meaner. 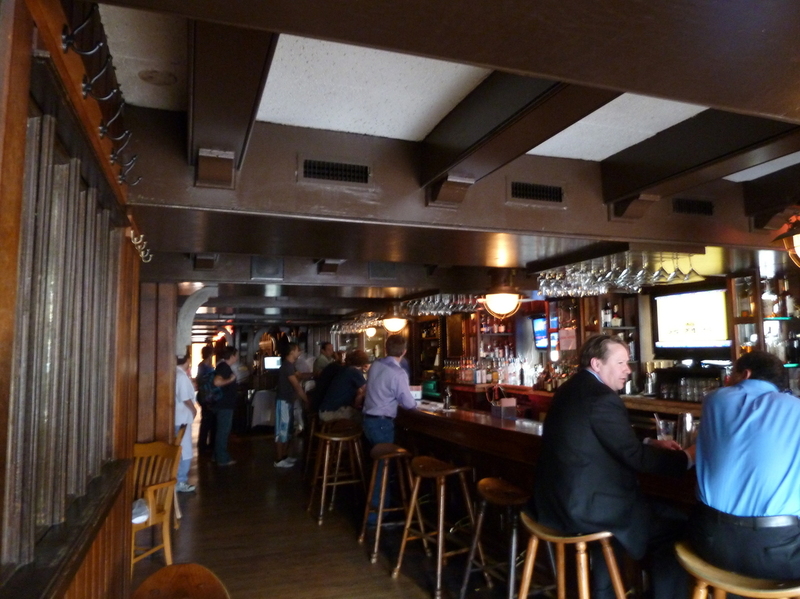 Among the non-touristy haunts of the fictional Joe DeMarco is the Georgetown restaurant The Guards, a cozy-shabby pub on the historic neighborhood's main strip. Our next stop on the DeMarco tour is a Georgetown eatery called The Guards, which DeMarco likes because it's quiet and not too expensive — all true. Lawson says he works hard to be accurate. "If you're not accurate, it's jarring for the reader," he says. "It takes them out of the moment. I made a gun mistake in my first book. Worst mistake you can make is a gun mistake — to have all the people write and tell you how you got the gun wrong." 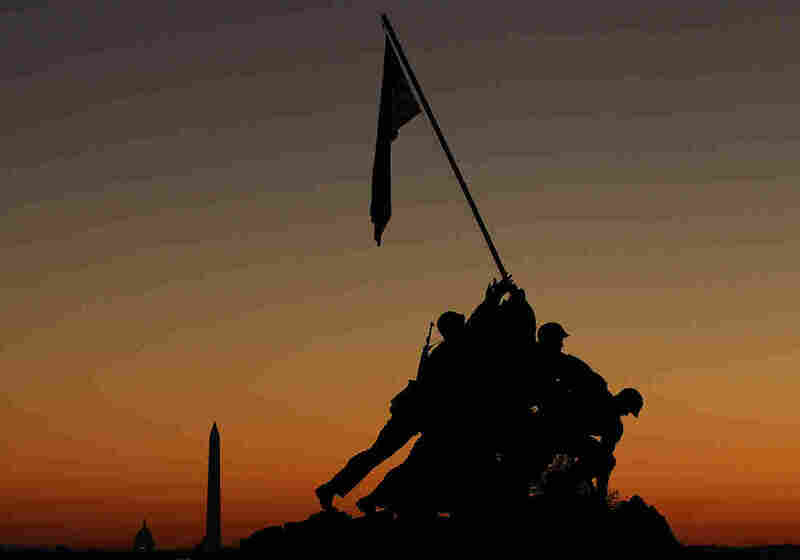 Across the river from Georgetown is the Iwo Jima Memorial, that massive bronze statue of Marines planting the flag — where two people are killed by snipers in Lawson's sixth D.C. thriller, House Divided. "I could walk down here and see, 'Well, this is where the body's at, and this is the street, and there's the memorial, and up there in those trees is where the snipers were.' "
Actually visiting the scenes of his crimes helps Lawson keep things realistic. It helps him figure out how a scene would actually play out. A sentinel walks post at the Tomb of the Unknowns at Arlington National Cemetery, another of the monumental backdrops in Lawson's crime novels. "The view of one [sniper] was blocked by the memorial," he explains. "Before he could take the shot, he had to wait till the guy cleared the memorial." Arlington Cemetery, just down the Potomac, shows up in several of Lawson's books — because everybody knows what it looks like, he says, and it sets a tone. "It's beautiful, it's poignant. 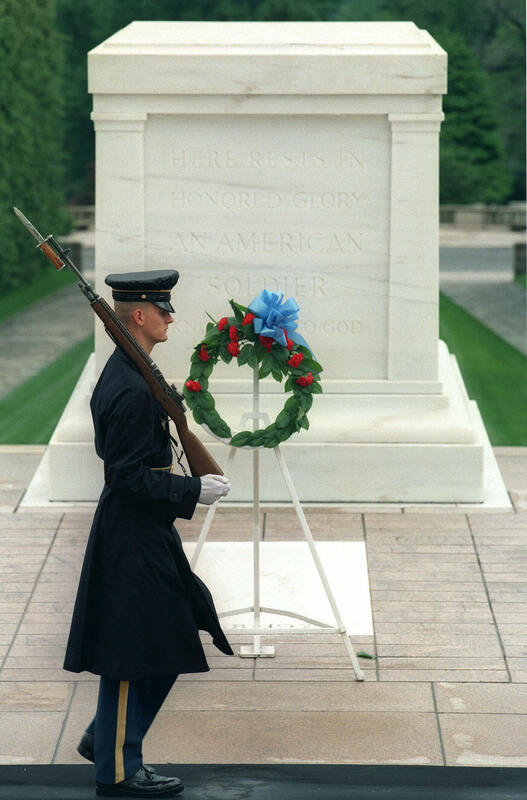 And then the Tomb of the Unknown Soldier is just a remarkable place," Lawson says. The sentinels at the Tomb of the Unknowns — changing the guard, marching with beautiful precision, guarding the peace of the dead — have a surprising role in House Divided. "In one of the last scenes in the book, one of the guys who truly is kind of a bad guy, he's conflicted at this point," Lawson explains. "He used to be one of the sentinels, and he comes up here at dawn. ... And he's thinking about what he's doing" — following the orders of a rogue general — "and what he used to be like when he was one of those sentinels." As a person who knows her way around the basements of Capitol Hill, I can say that Mike Lawson mostly gets it right. His scoundrels are a little more vivid, perhaps, his hero a big lug who plays dumber than he really is. But where most Washington thrillers are exasperating to the locals, these are entertaining. And I guess I would like to live in a Washington where the good guys always win.